So overwhelmed by the HELLO! Magazine UK feature of DG Podiatrist for their evening of romance Valentine's luxury give away prizes for the best "London's Medical Pedicure" at 58 South Molton Street, Mayfair on 12th Feb. Join the fun with this weeks red carpet event. So thrilled and excited to be apart of it. Valentine’s Day is near, filling both singles and couples with romance, generosity and a wealth of love. For me, this also means a bit of a love affair with my feet, ensuring they are luxuriously silky and full of life. The lead-up to Valentine’s Day this year is going to be a beautiful one. There is one event to be terribly excited about, and one you will no doubt want to be a part of! Curious? Envisage an evening of romance and shopping with Hello! Magazine in The Lanes of Mayfair. Picture strawberries, Prosecco, red heart balloons, chocolate bites and, wait for it … a spectacular red carpet rolled out all the way down South Molton Street! Can you imagine? How very magical. DJ booths will be situated at each end of the street, playing low key easy listening music for all to enjoy — Heart FM will be there to share in the love. The celebration will take place on Thursday February 12 from 5-10pm. Put it in your diary, quick, maybe with a love heart by its side! 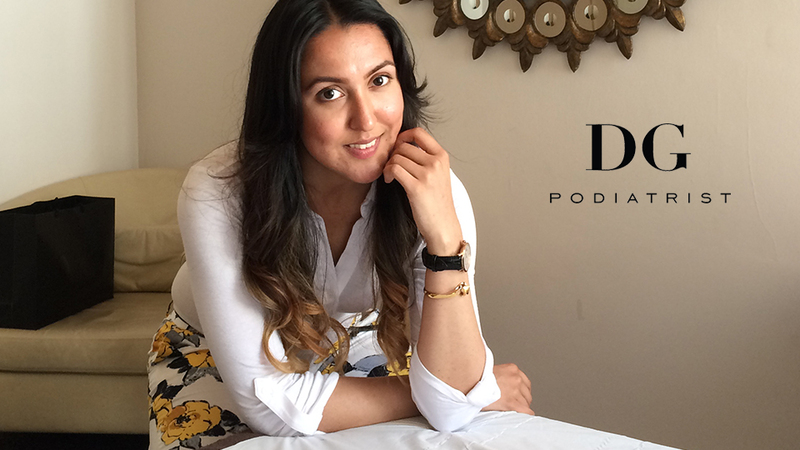 DG Podiatrist, among other participating businesses at 58 South Molton Street, is offering a stunning 20% off bookings and in-store refreshments on this special day. The fabulous event will be promoted in Hello! Magazine on Monday February 9, due to the generous discounts and raffle prizes offered on the day. You will be asked to show the magazine coupon to qualify for the 20% discount at participating retailers and restaurants. Hello! You’d be crazy not to check it out! DG is offering a raffle prize of a whopping £600, which is the equivalent of six London medical pedicure treatments! This is a chance to treat yourself, or your significant other, to something that will really make a difference to overall wellbeing. Better than your average hamper, I’d say! There will be competitions on the night, such as tickets to Shakespeare in Love, Valentine’s Day hampers, dinners, overnight stays and tickets to Victoria’s Secret fashion show — I bet their feet look divine in those heels, and yours can too, wandering the glamorous (and discounted) Lanes of Mayfair! So come and join in the February celebrations of love and wellbeing — go alone, with your partner, with a friend or bring the family! Share in the fun, the amazing treatments, the prizes, the music and the Mayfair buzz! Love and cherish your feet in preparation for Valentine’s Day, and walk with joy and freedom through the atmospheric lanes. Be happy, healthy and toe-tally romantic! ‘There is only one happiness in this life — to love and be loved’.